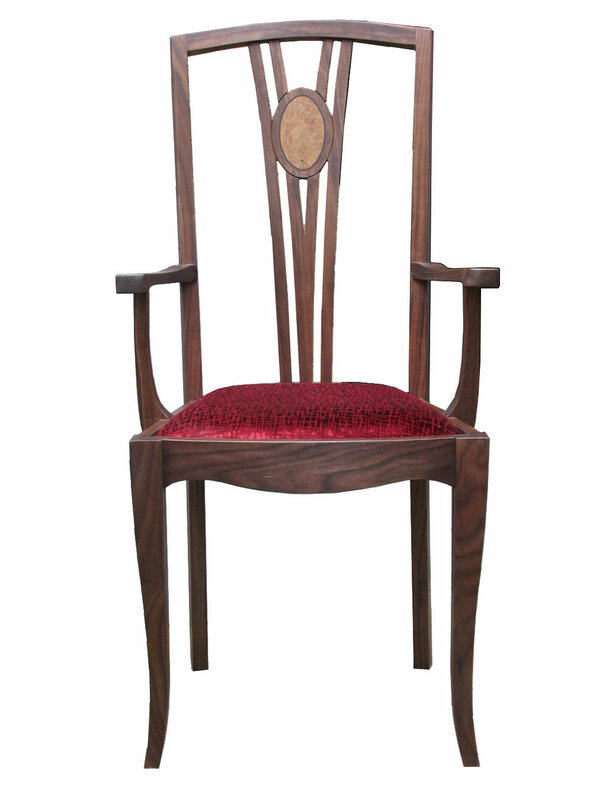 A solid walnut dining chair with burr oak inlay and an upholstered seat. This chair was made as part of a set of 2, along with 10 dining chairs for an extending oval dining table. You can see some more pictures of the dining table here.